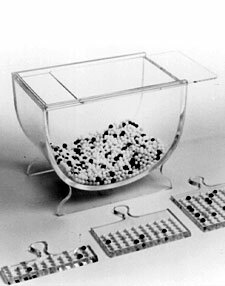 This plexiglas sampling bowl can be used for teaching probability theory and the Deming Red Bead Experiment. It includes three sampling paddles (20, 50, 100 holes) and 2600 beads (1800 white, 400 red, 100 yellow, 100 green, 100 black, 100 blue). I'd be lost without Don Wheeler's books to guide me. Keep up the good work!